In the ‘Justice’ slot we’ll be talking about Ethical Fashion, and asking do we know what this actually means? How are women around the world – the majority of the workforce producing the clothes we wear – affected by our choices? We’ll be joined by Keren Long, founder of Ethical Apparel Africa, who has two decades of experience in fashion sourcing. Keren has worked at Marks & Spencer, followed by 17 years at George, then the third largest clothing retailer in the UK. Her recent experience includes working internationally with the fair-trade artisan textiles industry and developing factories in Africa for mass production and export especially to USA brands. She has much insight and wisdom to share. We’ll also be joined by Katherine Maxwell-Rose, editor of Rhythms, who also has a strong personal commitment to ethical living (just see her recent wedding for evidence! 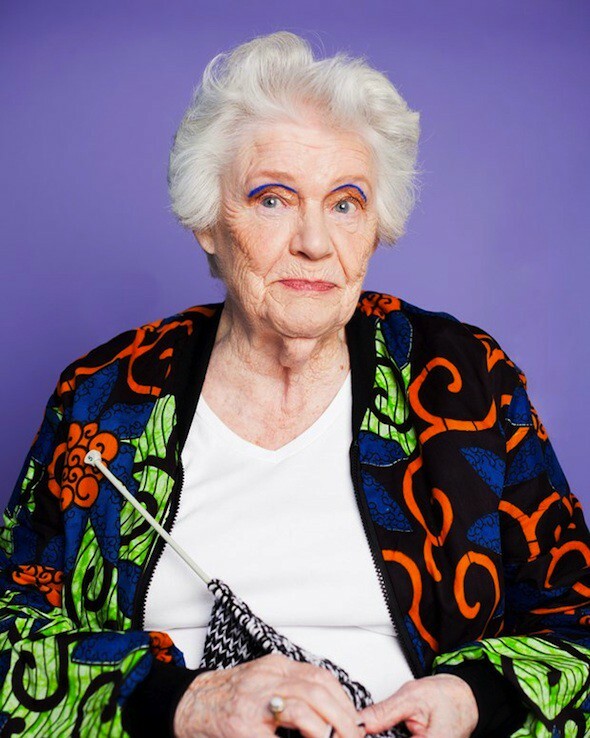 ), and Sarah Beckett, co-founder of Birdsong, an ethical fashion company with a ‘no sweatshops, no Photoshop’ policy, and diverse and creative sourcing, partnership, and product focus (photo of Edna, one of their knitters and models). Read about them in Dazed magazine here. Dr Liz Graveling will be sharing in the ‘Knowledge’ session about the reasons women may avoid leadership positions. Liz works with a range of people including the church and academic researchers to conduct and support research into ministry development. Her recent work has covered the church in the UK, and using research methods to help churches understand themselves better, leading her to explore notions of being and longing and belonging. She helps leaders ask key questions including How are we doing? What are we looking for? And who are we? Her main areas of research are: Initial and continuing ministerial development, Clergy experiences of ministry and gender and ministry. In the ‘Community’ slot we’ll be looking at ‘Being Outnumbered’. How often do we find ourselves the only one of ‘us’ in the room? Whether age, race, age or other factors set us apart from the majority how can we flourish? Chine McDonald, author and Director of Communications at the Evangelical Alliance, will be running an interactive session on developing strategies for times we’re outnumbered. We’ll be Celebrating Jeanie Honey, who founded the highly-regarded TedX Exeter event and has curated a programme of talks with global reach. TedX Exeter’s talks have been viewed over 4 million times and tickets for the 2016 event sold out in just 22 minutes. She’s had an interesting and diverse life involving growing up in a variety of countries with a pioneering family, social work, writing, and admits to being a vicar’s wife(!). She has lots to share on identity, starting new things, change, and transition. St Clements Directions: Full address is St Clement’s Eastcheap, 1 St Clements Court, Clements Lane, London EC4N 7HB. Nearest tube is Monument or Bank. From Monument tube, follow exit to King William Street and then directions to Bank tube. (Don’t go up the exits to King William Street South or Eastcheap!) Go up the steps by House of Fraser to the left. Follow the road round to the right, and turn right before Pod. St Clements is on the right.